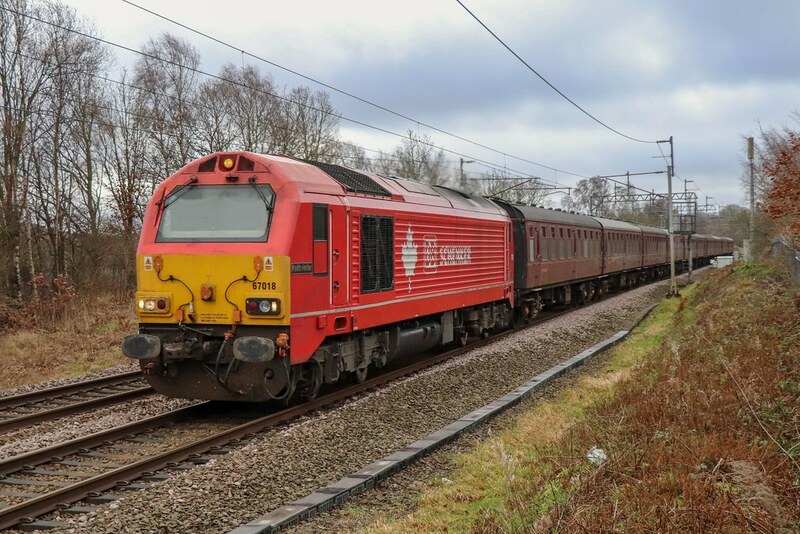 67018 "Keith Heller" is seen heading north through Wigan Boars Head G.F. working 5Z92 07:50 Wembley Eur Frt Ops Cntre to Bo'ness Jn Exchange Sdg on the 13th January 2019. Stock :- 5028, 4856, 4832, 1859, 13229, 21241, 3096, 1730, 3115, 3150. © Andy Parkinson 2019 - No Unauthorised Use Please. Copyright of the photo remains with the original author. You have no collections. Would you like to create one?